Synopsis: The Wombos attempt to kill the sacred lion of Ngeeso's tribe. Kaänga defeats them and it is discovered that the lion has a treasure map tattooed on its flank. 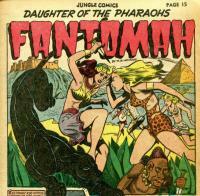 Synopsis: Jebba, queen of the Manzaans, plots to have her jester kill Fantomah and when that fails, she invites her to her castle and attempts to poison her. Synopsis: Python skin hunters are abducted by a python cult and must be rescued by Tabu. Synopsis: A band of camel thieves, using the camels to smuggle Italian weapons into the interior for a big attack on the British, take Kismet who must be rescued by the gang. 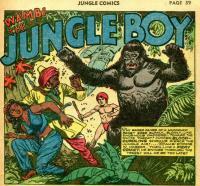 Synopsis: Wambi and his jungle friends help overthrow a treacherous rajah. 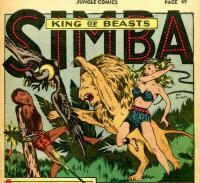 Synopsis: A witch woman kidnaps Boko in order to learn the language of lions. 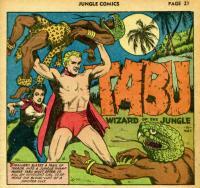 Synopsis: Ben attempts to fetch herbs to heal a jungle fever but is captured by a tribe of white men living in a volcano. 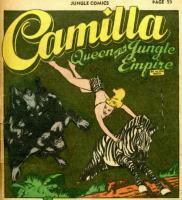 Camilla rides to his rescue with help from a member of the Black Cobra tribe.